SBC says "fiber is an unproven technology"
SBC's Midwest Networking President, Kirk Brannock (currently serving on the Illinois Governor's Broadband Deployment Council) is getting his fifteen minutes of fame. He was captured on video at a public hearing stating that "fiber is an unproven technology." It is an interesting assertion since SBC's networks would collapse without the tens of thousands of miles of fiber the company uses to run their entire phone and data system. In the same video, Brannock arrogantly states that, "...what are you going to do with 20 megabits?" Um, the same things the Japanese, the Australians, the Chinese, the Candadians, and the Irish are doing with 100 megabit connections--just five times more slowly. He keeps going though, and says that of their trial of 3 meg fiber in Milwaukee, "...most users won't use that." The condescension of this guy is almost beyond belief. At one point, he talks about the "Dr. Suess" answer to upload/download speeds. So SBC believes their customers are small children that need simplistic answers to the economic future of their communities, and that SBC customers deserve nothing more than a pat on the head and a "We know better than you what your needs are" as a reply to legitimate questions about the company's service offerings. 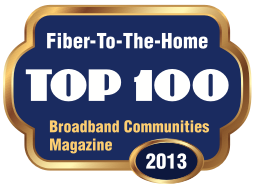 The video clip (it's very short) is here, thanks to the Tri-City Broadband Citizens Group. What you will rarely see in the mainstream media when they report on high gas prices is the booming new markets that are already emerging. This Wired article reports on the potential of ethanol as a fossil fuel replacement. You can buy cars and trucks now that run on E85 fuel, which is 85% ethanol. In Illinois, where a lot of the corn that is used to produce ethanol is grown, the state is already buying E85 vehicles, and is about to start a statewide program to get more gas stations to install an E85 pump. But the most interesting thing in the Wired article is the research already well under way to convert ethanol to hydrogen. Scientists have a process that is nearly 80% efficient, or almost as good as natural gas processing. An ethanol to hydrogen conversion process neatly solves one of the big conundrums of using hydrogen widely, which is transporting it long distances. If ethanol was used as a feedstock for hydrogen, the long haul transport issue may be solved by moving the conversion closer to users. What would be interesting is having gas stations able to convert ethanol to hydrogen on site, just before a hydrogen vehicle gets a fill up. Does your region have an economic development strategy for the hydrogen economy? What about ethanol? Do you have business or other strategic assets in your region that could be leveraged into an energy business cluster? The communities that recognize the hidden opportunities in high gas prices could become economic development powerhouses as the Energy Economy heats up. It's great to see some thoughtful broadband coverage in local newspapers. This article from the Rock River Times [link no longer available] of Rockford, Illinois makes the case for communitywide telecom infrastructure. The paper makes the point that transport systems have always been important to communities and economic development, starting with canals and then the railroads. Government has always been involved, to one extent or another, and the railroads are a good example of a successful public/private partnership that reaped great results. Today, communities need a digital transport system that can be used to deliver a wide variety of services offered by lots of vendors--just the way traditional roads work in our communities. "Our primary goal was economic stability and some hope for economic growth," Baird said, noting that one of the largest companies in town moved out, taking with it more than 300 jobs. "We had some concerns from our customers that they were in the same boat because of a lack of telecom services." Like a lot of other municipal fiber projects, Princeton has its own electric utility, meaning they already have much of the technical expertise to take on this kind of project. But Princeton did not create another city utility. Instead, they partnered with a local ISP to light up the fiber, and the private company handles billing and service. The ISP pays a fee to obtain access to the network, and the city expects to recoup its $350,000 investment in 18 to 24 months. This is the right way to do it. The community builds the infrastructure, and provides it on a cost recovery basis to the private sector, which provides the service to customers, creates jobs, and pays taxes. Everybody wins. Chicago is considering what I recommend, which is a public/private partnership. Chicago will provide access to light poles and other public property for antennas, but a private company will manage the network and sell services. The City will get a franchise fee based on revenue. It's a win/win/win. Consumers get an alternative to DSL (and in many parts of the city, neither DSL nor cable modem service is available), poor neighborhoods get broadband access for the first time, jobs are created in the private sector, and the City gets some income. The only possible glitch: local governments can't get greedy and turn franchise fees into "revenue enhancement" opportunities. The franchise fee should be based on the real cost to the government of providing right of way, plus a small amount for network expansion. If local government tries to use it instead as a hidden tax (no taxation without representation, right? ), it will only hurt the effort. Northern Illinois, which is surprisingly rural in nature despite being a relatively easy drive to Chicago, has grabbed hold of the future. Below is a press release announcing an ambitious regional project to get affordable, high capacity broadband throughout that area. In announcing the effort, an official connected with the effort said, "The communication infrastructure we're talking about will be as important as electricity, water." Rochelle, IL - Today, Rochelle Mayor Chet Olson unveiled plans for a superior fiber-optic telecommunications network labeled the Northern Illinois Technology Triangle (NITT). The network will provide multi-gigabit capacity to the Northern Illinois region, connecting communities across Northern Illinois and opening new opportunities for growth in education, research and business. The NITT is a joint venture between Rochelle Municipal Utilities (RMU) and the Illinois Municipal Broadband Communications Association (IMBCA). It will provide a looped broadband fiber network in a triangle along I-88 from Rock Falls to Naperville, with a section north to St. Charles, and from St. Charles along I-90 to Rockford, and then along I-39 from Rockford to Rochelle. The physical infrastructure will be implemented in three parts. IMBCA has already leased existing fiber along I-88 from Naperville west to Rock Falls and is now negotiating leases for existing fiber on I-90. Rochelle Municipal Utilities plans on installing the remaining leg of the triangle, from Rochelle to Rockford, where no fiber exits. The NITT is the first municipal utility fiber optic network consortium in Illinois. Chet Olson, Rochelle's Mayor, said, "We're pleased to play a part in bringing about the Northern Illinois Technology Triangle. NITT is the beginning of a new era, not only for Rochelle, but for all communities in this region that choose to access this network. For my community, it means an opportunity to expand our economic base from manufacturing and rail service to technology services and support." The network ring is based upon fiber optic cable and will offer 33 (or more) wavelengths, each with the capacity to carry data at a rate up to 40 Gigabits per second. With just one Gigabit connection, a family can download their favorite DVD movie in less than one (1) minute, something which would normally take 13 days to download using a telephone dial-up connection.